VIDEO: Laine vs Ovechkin: Who is the bigger powerplay threat? - The Point Data-driven hockey storytelling that gets right to the point. VIDEO: Laine vs Ovechkin: Who is the bigger powerplay threat? 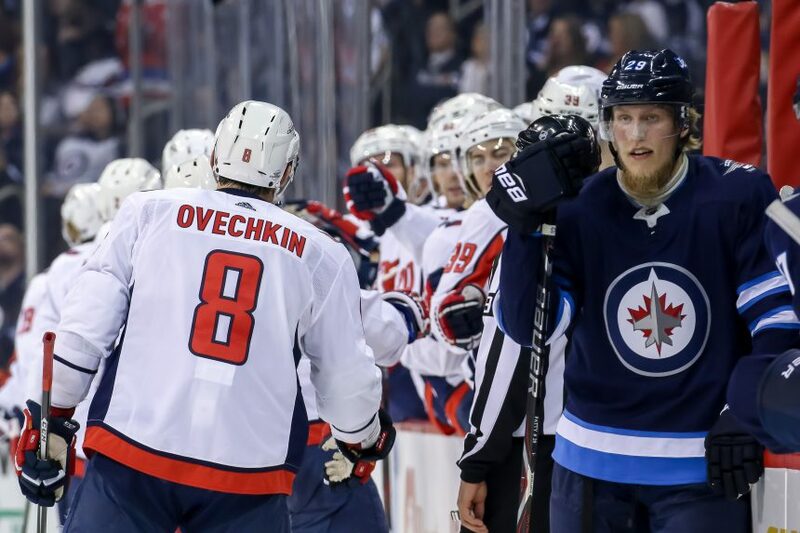 The Winnipeg Jets host the Washington Capitals tonight in a game featuring the top-two power play goals scorers since the start of the 2016-17 season, Patrik Laine and Alex Ovechkin. Laine is tied for the league-lead with 7 powerplay goals this season, while Ovechkin is tied for 3rd with 6. Both players are famous for ripping bombs from the left circle and it got us thinking – who is the biggest threat? Check out the video below and decide for yourself.